Migraines affect 39 million people in the U.S. and 1 billion people worldwide, making it the third most prevalent illness in the world. “A migraine is characterized by attacks of moderate to a severe pulsing head pain that typically occurs on one side of the head and is accompanied by a variety of symptoms including nausea (and sometimes vomiting) and sensitivity to light and/or sound,” says Dr. Elizabeth Seng, NYC head pain expert and clinical health psychologist. “It’s unclear what exactly causes migraines, but it usually involves a change in the brain’s electrical activity that activates neurons responsible for pain,” says Dr. Lauren Middleton, a neurologist at Centura Health. “You can make a migraine feel better with over-the-counter medication like Excedrin,” says Seng. “Just try not to use it more than three times a week, or you could get rebound headaches,” adds Middleton. NSAIDs (non-steroidal anti-inflammatory drugs) are also effective over-the-counter medications. Talk to your doctor about what kind of medication is right for you. “In addition to medications, you can try putting ice packs or heating pads on your head to ease the pain,” says Middleton. Be sure to wrap your pack in a towel before placing it on your head! To prevent migraines in the long-term, Middleton recommends taking daily vitamins like magnesium 400 and riboflavin (vitamin B2) 400 supplements. Adequate magnesium and riboflavin consumption helps calm nerves, which is what often causes migraines. Take care of yourself from the inside out! 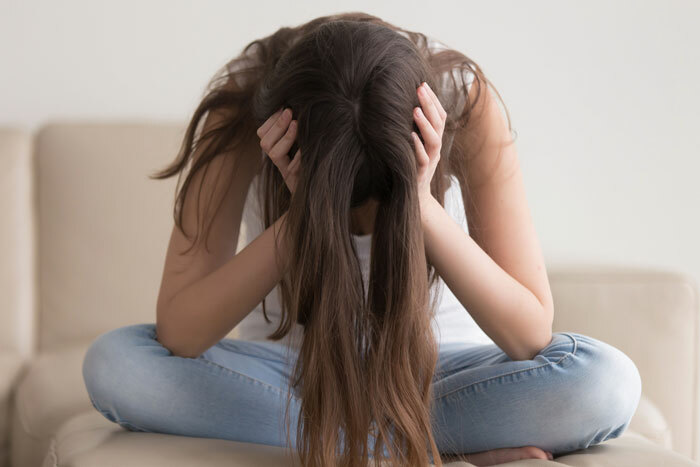 “General good habits — stress reduction, sleeping at least seven hours a night, and eating at least three meals a day — can also help curb migraines,” says Seng. “A chronic migraine is one that occurs 15 days or more each month for over three months,” says Seng. But even if it occurs less than this, migraines can be debilitating. If you get a migraine once a week or more, talk to your doctor about medications and other preventative measures. I get horrible migraines that can last from one day to a week or two. I have tried everything including heavy opioids and nothing helps - until this. Now you may say no but don’t say that until you try it. You can substitute any restaurant you want but I go to McDonalds, get a shake, drink it as fast as you can like chugging it until you intentionally get a brain freeze. For a very long minute it will hurt like hell but your headache will be gone. Don’t Pooh-Pooh it until you try it. It makes sense you know like the cold constricting the blood vessels. Good luck!??? ?